Not just the landing pad and its anti-gravity elevators, but this whole custom LEGO Imperial base is awesome. And it shows how huge an Imperial Shuttle really is. This fantastic diorama was made by Estonian LEGO enthusiast Nikolai Mordan (via Brothers Brick). 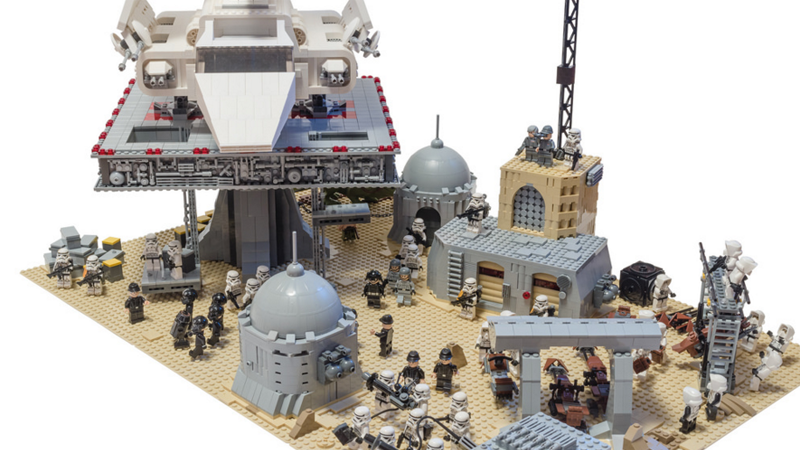 It’s worth taking a closer look, the Tatooine base is full of cool little things and a whole squad of Stormtroopers.